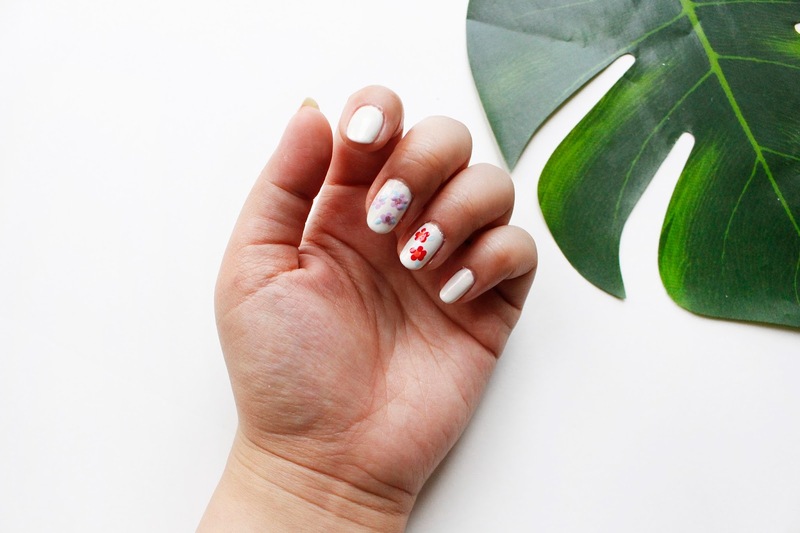 Summer Seventeen: Floral Nails with Essie's Summer Collection! Wow, I can't believe we're eleven days into July! This summer is going by super quick, though there are moments of humidity that seem to last forever. 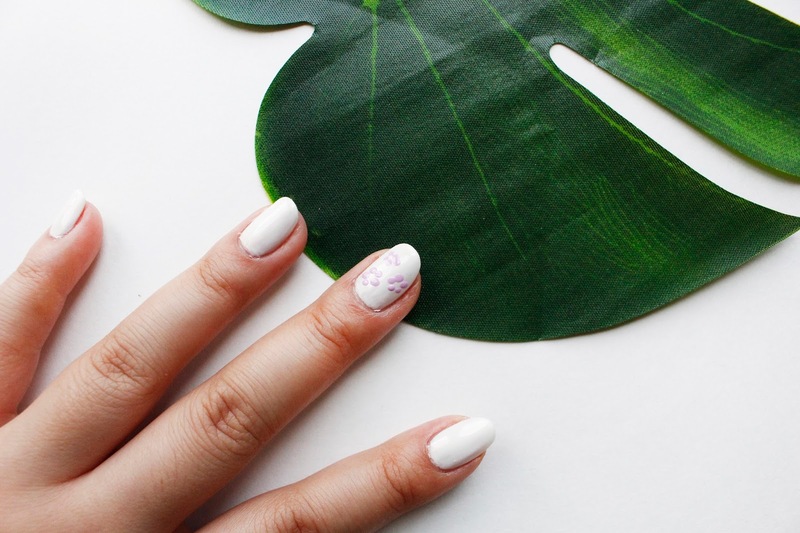 I'm here to share with you a simple nail tutorial using Essie's Summer 2017 Collection! 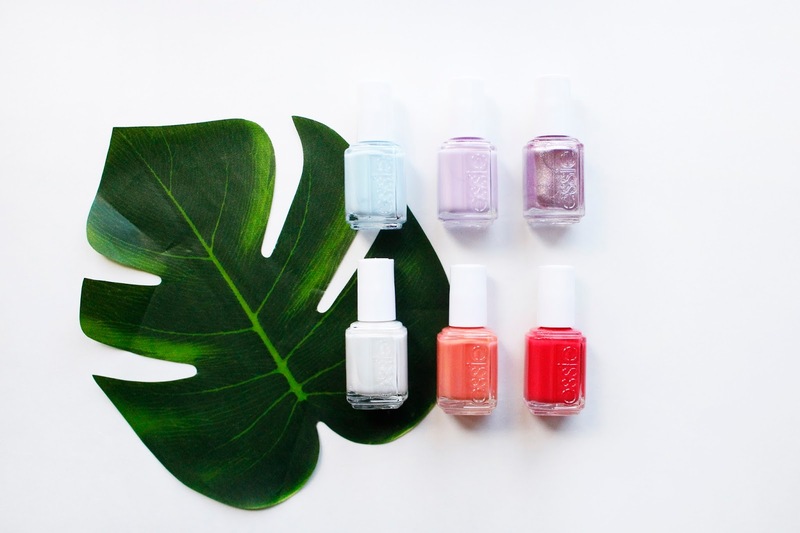 For years and years, I've definitely been caught up with each of Essie's seasonal collection launches, but I haven't seen one quite like this. Inspired by parisian pastries, this collection definitely feels light and feminine, with touches of sparkle! 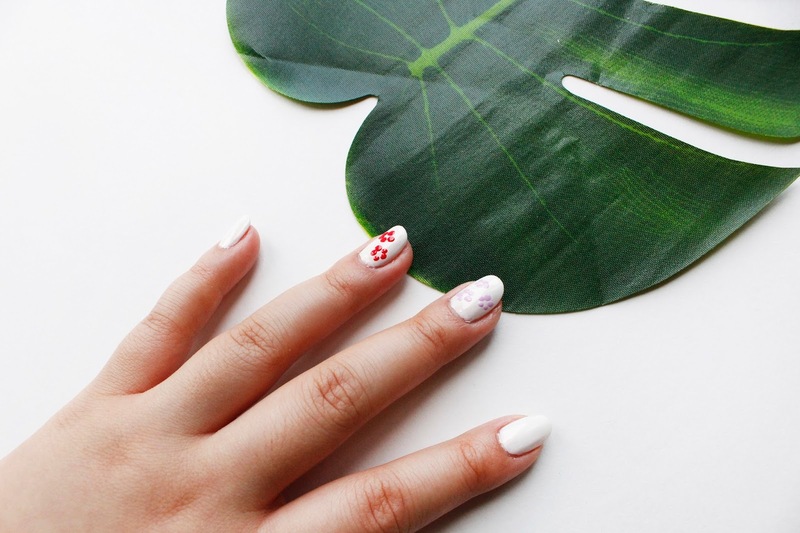 Keep reading for a quick and simple nail tutorial! 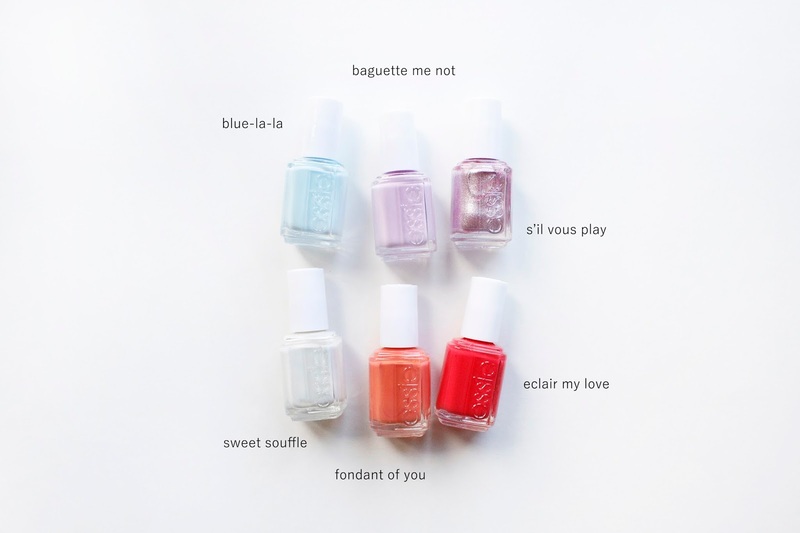 As always, Essie never fails with the names of their polishes! 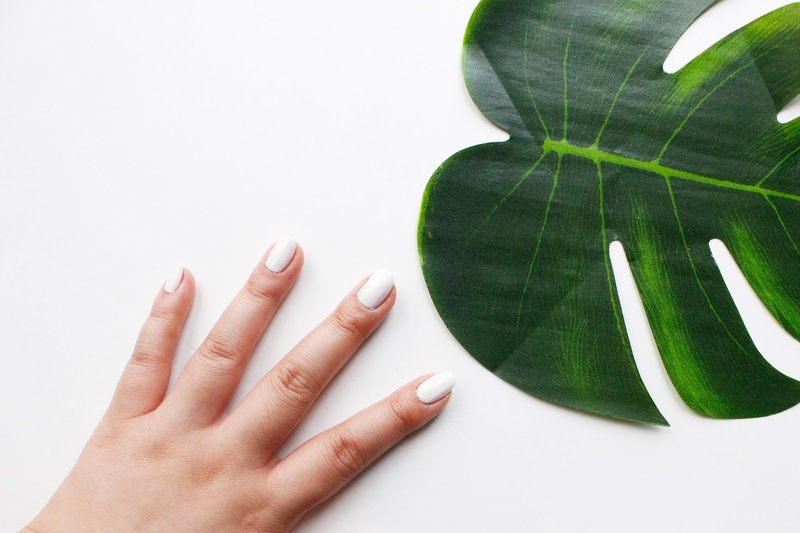 After prepping your nails and using base coat, apply two layers of "sweet souffle" for a base color. 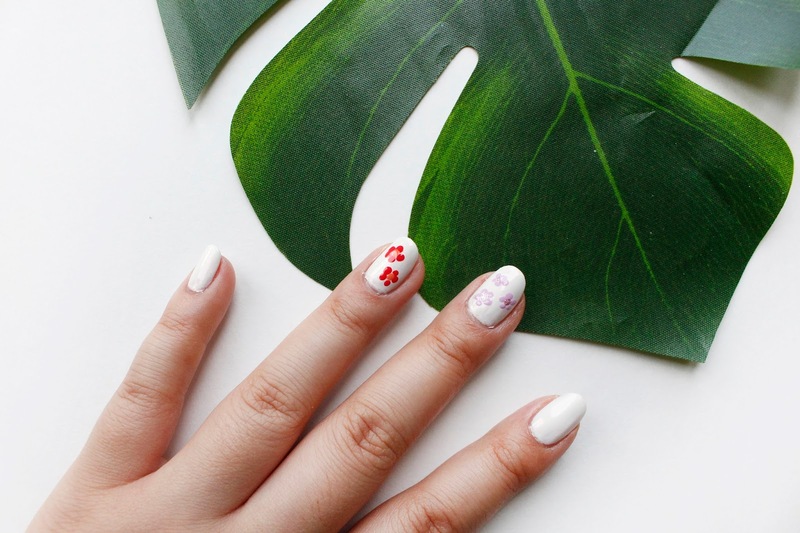 Using a toothpick or dotting tool, gently apply five dots in a circle using "baguette me not", creating a flower shape. Do the same with another accent finger using the color "eclair my love". Complete your flower by dotting the centers with "fondant of you" and "s'il vous play". To take a fancy step further, use "blue-la-la" to add leafy details! Don't forget to finish off with a top coat! Hope you liked this tutorial! Stay tuned for more.